The mid-range category is the most competitive market at the moment which is why Sony has dimmed it fit to update their mid-range Xperia line with the Sony Xperia XA2 Plus release. Like the others, the smartphone maintains a similar build except for the change in aspect ratio to 18:9 as well as the same set of chipset. An addition worthy of mention is the high-resolution audio feature that improves music experience on the smartphone. Besides this, there is really no significant upgrade to be mentioned. Despite its slender look, the Sony Xperia XA2 has a rectangular look mostly because of not too curved edges. 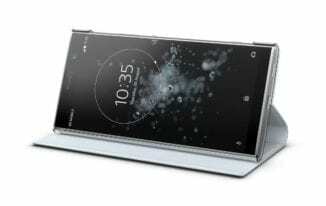 The smartphone is made of metal which according to Sony is a diamond cut material. It also features the latest trends like minimal bezel at the side but has a rather obnoxious top and bottom bezel. In comparison to other XA2 series, the smartphone is a tad thicker and weighs more probably due to the additional features put in. Nothing changes regarding the display relative to the other Xperia XA2 models with just about the same size and resolution. In case you are a big screen fan, the smartphone will sooth you well with a convenient 6.0-inch of LCD sporting a 2160 x 1080 pixels resolution. The display has an added protection with Corning Gorilla Glass 5 covering the entire screen. You would be able to enjoy a long time of usage on the Sony Xperia XA2 with the decent capacity it carries and powering the specs it comes with should be no problem. That being said, the smartphone ships with a non-removable 3, 580mAh battery and Quick Charge 3.0 which is said to give you hours of battery life in minutes. Sony is well known for its good cameras and the Xperia XA2 does not disappoint in this aspect either. The back panel has a large-sized 23MP camera which is capable of capturing 4K videos and also comes with the ‘bokeh effect’ as well as a number of other interesting features. On the front yard, you’ve got a wide-angle 8MP camera that also boasts of background blurring making your portrait shots more beautiful. At the core, driving the different functions on the smartphone is the same processor present in the Xperia XA2 and XA2 Ultra. The smartphone is having a Qualcomm SDM630 Snapdragon 630 processor together with an Adreno 508 GPU for managing graphics which includes how good gaming will be on your smartphone. This is one of those smartphones with two variants and in this case, the RAM and storage space makes them different. There is one with a 4GB/32GB combination while the other has 6GB/64GB both expandable to 400GB of storage space. The smartphone comes with some pre-installed apps, an indication that the Android 8.0 Oreo is not a stock OS. 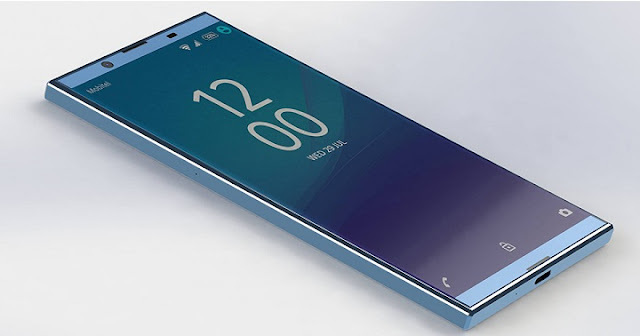 The smartphone will go on sale for about 145, 000 Naira from online stores and smartphone retail outlets depending on your location and the deal.